Today’s nail art was so much fun! I sugar-spun (my favorite) and splattered with no cleanup! Today’s prompt was “inspired by a song” so I chose my favorite Broadway musical Sweeney Todd. It is the grossest, most intense musicals I have ever seen but the music is phenomenal. 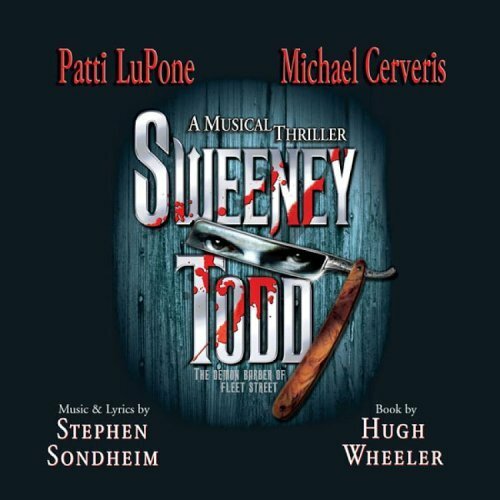 If you are unfamiliar with Sweeney Todd the basic plot of the story is he is a wrongfully accused barber who returns to London to take revenge on the people who imprisoned him. He rents a room above a woman’s (Mrs. Lovett) pie shop. Todd opens his barber shop and slits the throats of his clients. He then sends their bodies through a meat grinder which Mrs. Lovett uses for her pies. Her shop becomes very popular yet nobody knows they are participating in cannibalism! I took inspiration from the CD cover art with the sugar-spin mimicking the ground flesh Todd served to his customers. I hope you like it! I do! Follow me on Bloglovin’ | Twitter | or Facebook to keep up with me during the challenge! 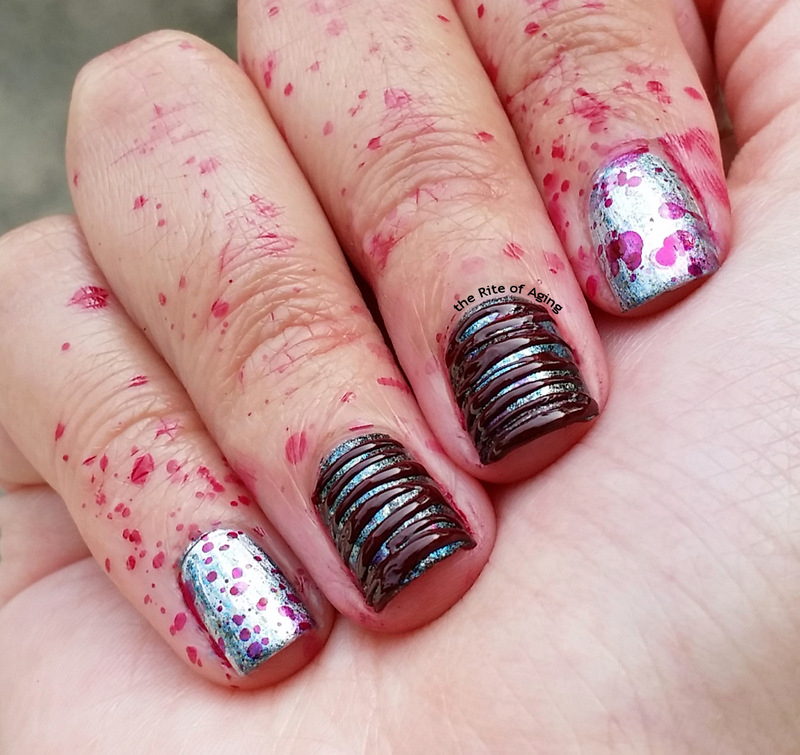 I’ve never seen Sweeney Todd, but I love these nails anyway, so inventive! I hope that red didn’t stain you too much! Thanks Jae!! This red is amazing, it has a jelly texture so it doesn’t stain! I miss Sephora by OPI polishes so much!